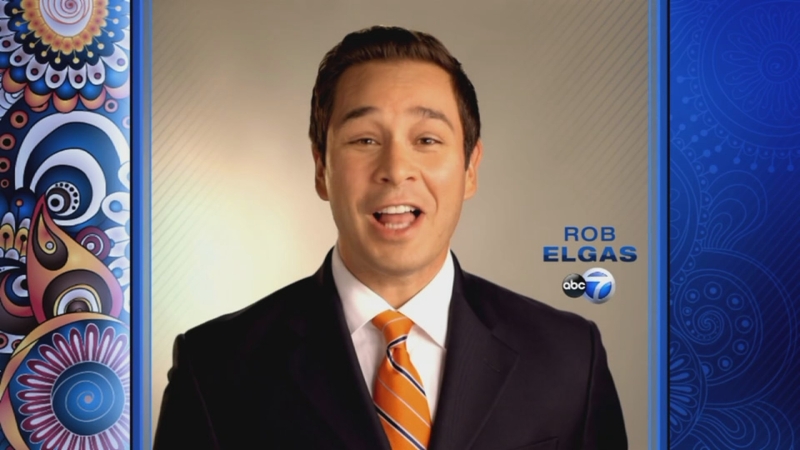 CHICAGO (WLS) -- ABC 7 Chicago celebrates Latino Heritage Month with news reports, parade broadcast, N Beat special, and Latino Heritage Month vignettes. ABC 7 Chicago is the only local TV station to broadcast the Little Village Chamber of Commerce 26th Street Mexican Independence Day Parade, Sunday, September 13 at 2:00 PM. ABC 7 CHICAGO will highlight the rich culture and traditions of Chicago's Latino community during Latino Heritage Month, September 15-October 15. 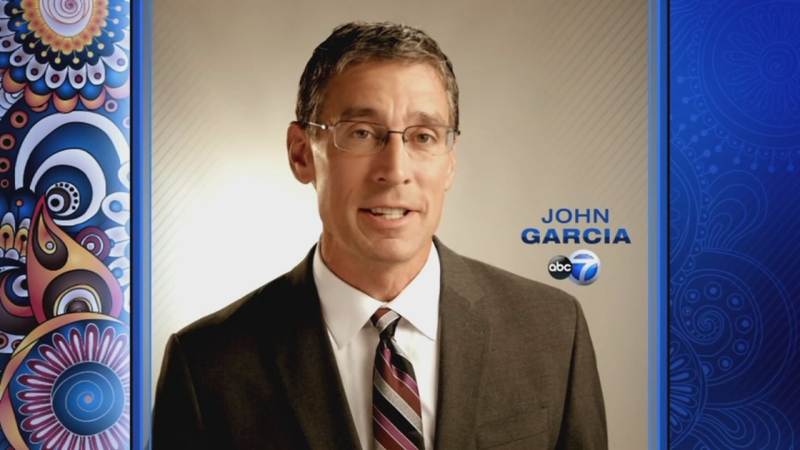 ABC 7 will celebrate Chicago's diverse Latino community with special news reports; the broadcast of the Little Village Chamber of Commerce 26th Street Mexican Independence Day Parade; a half-hour edition of THE N BEAT; and a series of vignettes featuring ABC 7's Stacey Baca, Rob Elgas, Michelle Gallardo, John Garcia, and Roz Varon. The 26th Street Mexican Independence Day Parade, in the heart of Little Village, illuminates Mexican culture and is considered one of the most colorful parades in Chicago. More than 200,000 spectators were treated to mariachi bands and floats including the ABC 7 Chicago float, where members of the ABC 7 Eyewitness team -- Michelle Gallardo, John Garcia, Dionne Miller, Roz Varon and Hosea Sanders -- rode and greeted those watching along the parade route. This year's grand marshal is former ABC 7 reporter Theresa Gutierrez who retired in 2014 after an impressive 43-year career in Chicago television, with 42 of those years at ABC 7. ABC 7 will broadcast its Emmy Award-winning program, THE N BEAT, hosted by Stacey Baca, with special contributions by ABC 7's Rob Elgas, Michelle Gallardo, John Garcia, and Roz Varon, Saturday, October 10 at 6:30 pm, with an encore presentation on Sunday, October 11, at 4:30 pm. The N-BEAT is an Emmy-award winning ABC7 show that turns the spotlight on Chicago's vibrant Latino community. On this Latino Heritage Month edition of THE N BEAT, the show profiles Victor Alexander who was born and raised in Cuba and left his parent's home at the tender age of 11 to study dance at the prestigious Escuela Nacional de Arte in Havana. His talent has blossomed in Chicago and recently, he was appointed director of the Ruth Page School of Dance. Alexander talks about the exciting Cuban/U.S. exchange program he has spearheaded where dancers from Cuba and the U.S. get to study dance and perform in each other's country. We also hear from Victor about mustering the courage to leave his family behind to pursue dance and the joy he now experiences sharing his success with his family back in Cuba. THE N BEAT explores the success of La Criolla Food Products, a family owned business providing artisanal spices to Hispanic grocers across the Midwest since 1957. Now run by a mother and daughter team, this business is proud to boast that the majority of their products are made in a Chicago warehouse in the West Loop. Mother and daughter talk to THE N BEAT about the ingredients that helped make their company a success. Next, see a young artist who is living her artistic dream and making a living at it too. Anna Dominguez wanted to do something different and she accomplished that goal by creating a new art form - via duct tape. She's from Chicago and happily talks about what inspired her to make original, colorful artwork from tape. The N Beat and the Little Village Chamber of Commerce 26th Street Mexican Independence Day Parade will be available on-demand at www.abc7chicago.com. Rubye Wilson and Holly Grisham are the producers of THE N BEAT. Throughout September and October, ABC 7 will celebrate Latino Heritage Month with vignettes spotlighting some of the influential and talented artists and business persons who will be featured in the upcoming October 10th edition of THE N BEAT. ABC 7 Chicago celebrates Latino Heritage Month with news reports, parade broadcast, N Beat special, and Latino Heritage Month vignettes.